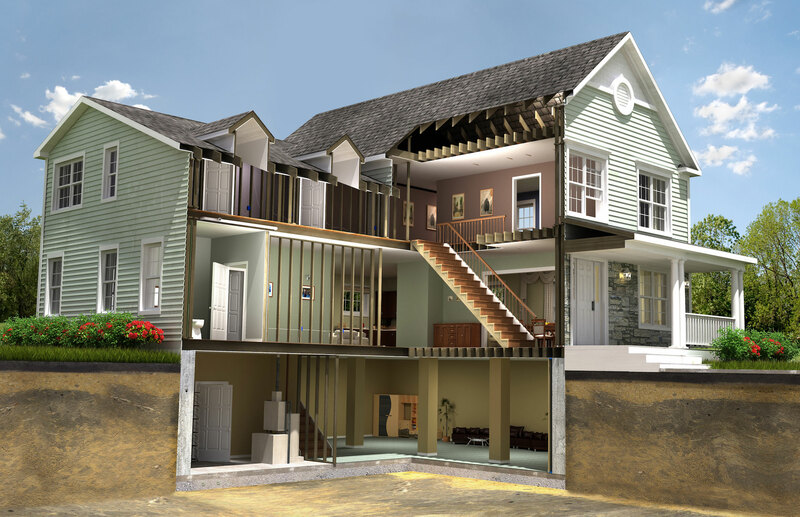 Title 24 Report and Energy Calculations - by Mecone Inc.
We are helping Architects, Developers, Builders, Commercial Property Owners and Individual Homeowners with Title 24 reports for new construction, addition and renovation projects. 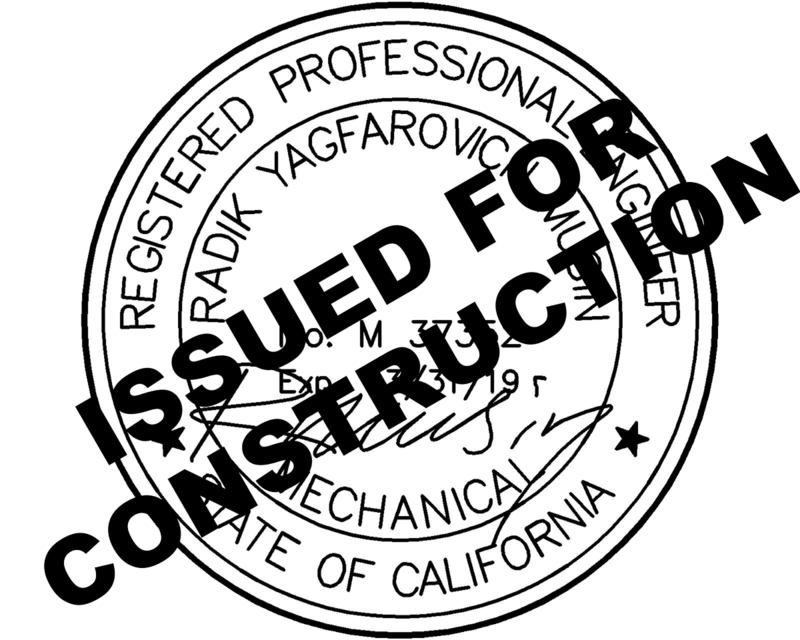 Our team of licensed professional engineers will help your project to comply with California Title 24 Part-6 Building Energy Efficiency Standard. We will act in your interest and seek out most cost effective solution. Title 24 HVAC Minimum efficiency: 14.0 SEER. Title 24 Roof Insulation: R-30 batt between framing in wood rafter roof. 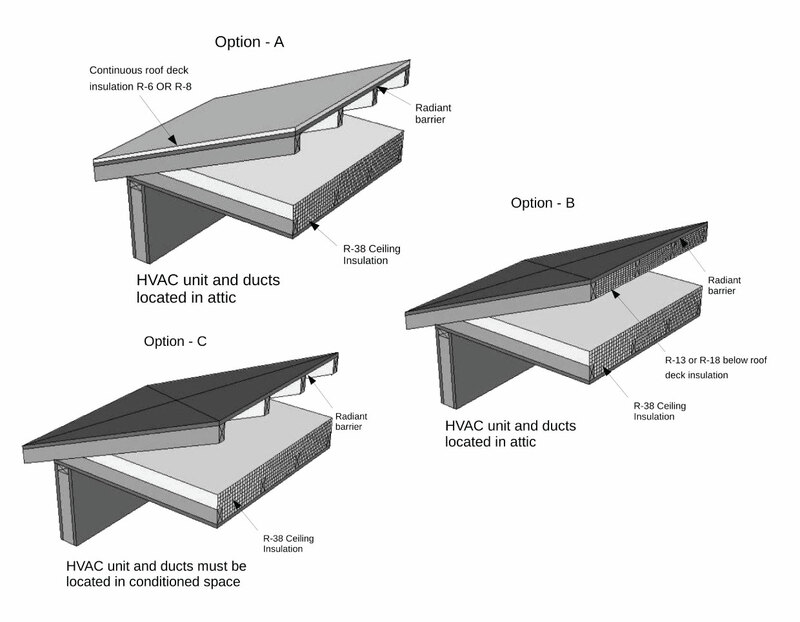 Title 24 Attic Insulation: R-38 at the ceiling AND R-13 below roof deck installed w/ air gap. Title 24 Gas furnace: minimum efficiency of 82%. Title 24 Whole House Fan: minimum airflow is 1.5 cfm/sf. Title 24 Exterior Wall: U-factor = 0.051 Examples: 2×4 wood frame with R-13 batt + R-10 rigid (U-factor=0.050); 2×6 wood frame with R-19 batt + R-6 rigid (U-factor=0.051); 2×6 wood frame with R-25 batt + R4.5 rigid (U-factor=0.050). Title 24 Programmable automatic setback thermostat. Title 24 Floor: Floor separating conditioned from unconditioned space shall have R-19 batt insulation in wood framed floor example. 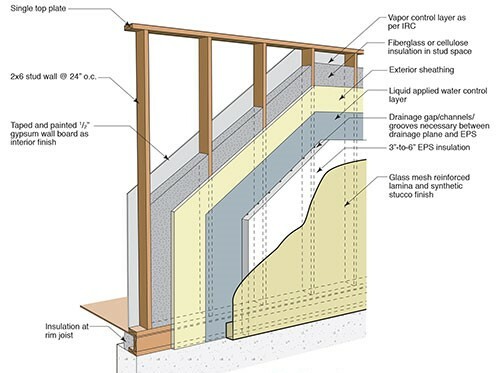 Wall separating conditioned from unconditioned space: Wood framing with R-13 batt insulation. Title 24 Below Grade wall: Concrete wall + R-13 on the interior side of the wall. Title 24 Water Heater: Tankless water heater with minimum efficiency of 82%. "Thank You for excellent service." "He work is fast. Any time I call him, he is there to respond to my need immediately. I have contacted quite a few energy consultants. He is definite the most knowledgeable and the best. I highly recommend you to consider using his service for your future need." "Thanks for your outstanding work, Radik!" "I just wanted to say how nice it was to work with Mecone inc. everything was done online and in quick time. Pricing for the project was very fair. I will do business with you in the future." “Radik, thank you so much for your help on the project. There were no issues. Got permits for both buildings today." "well done and very fast. Thank you!" Having over 12 years of experience working with the building energy efficiency code, energy savings and Title 24 compliance documentation we will help you to find a cost effective solution that meets your goal and the building energy standards. We utilize CEC approved energy modeling software for Title 24 compliance calculations and documentation. 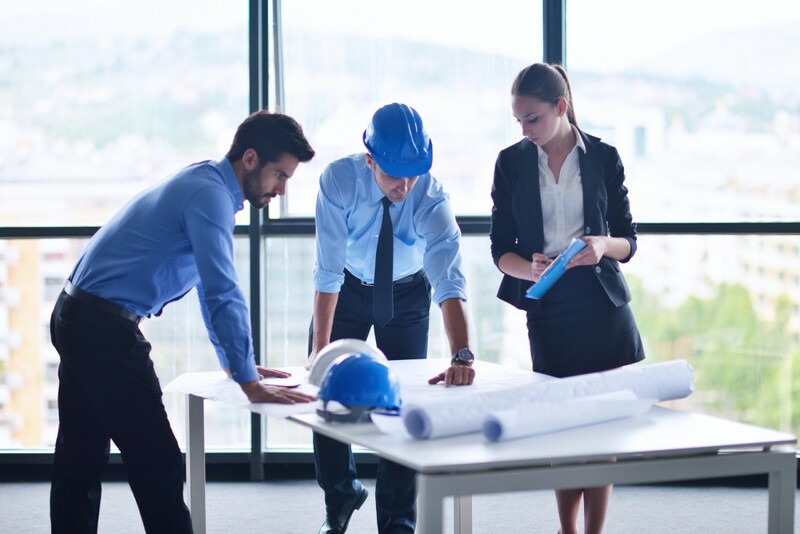 Your project will get registered with HERS rater provider and we will address the county and city planing department review comments related to Title 24 compliance so you don’t have to worry about it. Tankless Water Heaters are now standard. Tank type water heaters are considered a sub-standard solution and require additional insulation and HERS verification. 2×6 @ 16″ OC framing – R19 cavity insulation AND R-5 continuous (in most Climate Zones). 2×4 @ 16″ OC framing – R15 cavity insulation AND R-8 continuous (in most Climate Zones). California’s Building Energy Efficiency Standards are updated on an approximately three-year cycle. The 2019 Standards will continue to improve upon the 2016 Title 24 standards for new construction of, and additions and alterations to, residential and nonresidential buildings. The effective date of the current 2016 Title 24 Standard is January 1, 2017. Title 24 Part 6 2016 Building Energy Efficiency Standards for Residential and Nonresidential Buildings. Why California Needs Title 24 Energy Standards? Energy efficiency reduces energy costs for owners, increases reliability and availability of electricity for the State, improves building occupant comfort, and reduces environmental impact. Reducing energy use is a benefit to all. Building owners save money, Californians have a more secure and healthy economy, the environment is less negatively impacted, electrical grid can operate in a more stable state. We learned during the 2000/2001 California energy crisis, and the East Coast blackout in the summer of 2003, that our electric distribution network is fragile and system overloads caused by excessive demand from buildings can create unstable conditions. Resulting blackouts can disrupt business and cost the economy billions of dollars. Since the California electricity crisis, the Energy Commission has placed more emphasis on demand reduction. Comfort is an important benefit of energy efficient buildings. Energy efficient buildings include high performance windows to reduce solar gains and heat loss, and properly designed HVAC systems, which provide improved air circulation. 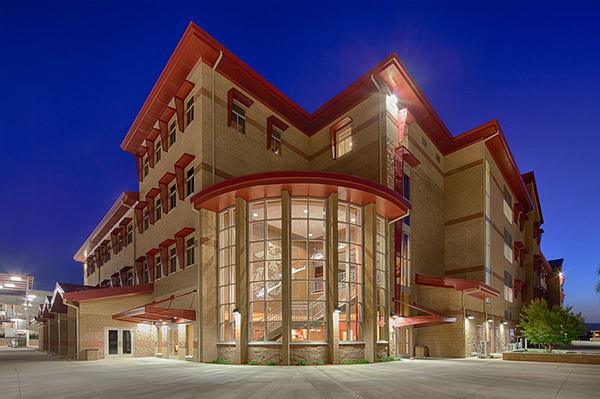 For the building owner, energy efficiency helps create a more profitable operation. From a broader perspective, the less California depends on depletable resources such as natural gas, coal, and oil, the stronger and more stable the economy will remain in the face of energy cost increases. The use of depletable energy has led to oil spills, acid rain, smog, and other forms of environmental pollution that threaten the natural beauty of our planet. California is not immune to these problems, but the Appliance Efficiency Regulations, the Energy Standards, and utility programs that promote efficiency and conservation help to maintain environmental quality. The Title 24 Energy Standards are expected to have a significant impact on reducing greenhouse gas and other air emissions. Source: 2016 Title 24 Residential and Nonresidential Compliance Manuals by California Energy Commission. The Energy Commission’s Title 24 energy efficiency standards have saved Californians billions in reduced electricity bills since 1977. The Title 24 Part 6 Building Energy Efficiency Standards were first adopted in 1976 and have been updated periodically since then as directed by statute. an alternative to the performance standards, which is a set of prescriptive packages that are basically a recipe or a checklist compliance approach.